To learn more about FlashCode, take a look at these automatically converted HTML5 animations: sample1, sample2. Or read these Xcode tutorials! 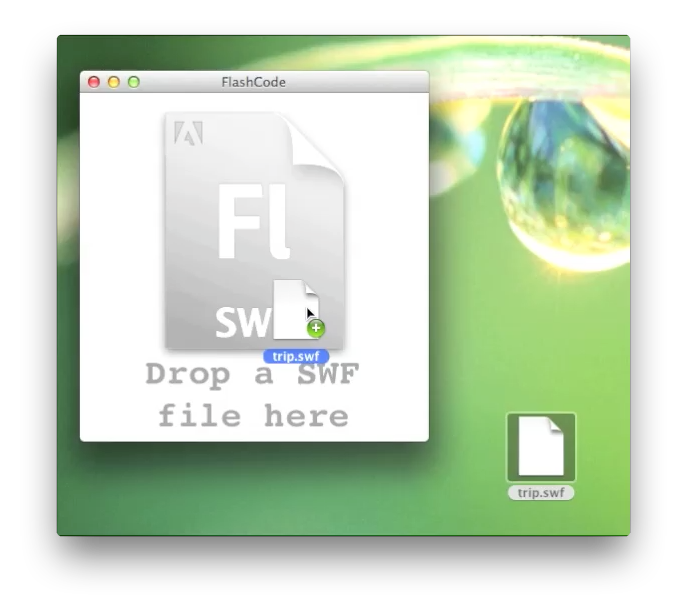 FlashCode requires Mac OS X 10.7 Lion. 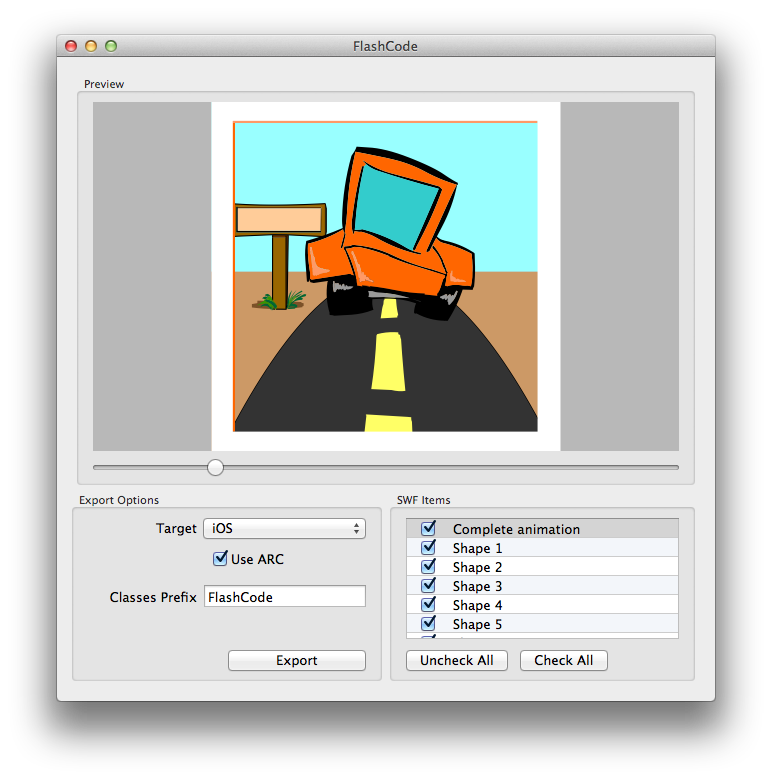 Converting a Flash animation is really easy: simply drop you file on FlashCode, and all is ready to be exported. Integrating the exported files into your Xcode project, or into your website is at least as easy as the export phase. Each graphic element is exported into a separate Objective-C class. Each class contains only a few, easy to understand, convenient methods. And because most of the classes inherit from UIView (iOS export) or NSView (Mac export), you can even use them directly with Interface Builder!